North Korean leader says June summit with US President has stabilized the regional security situation. North Korean leader Kim Jong Un said on Tuesday his June summit with US President Donald Trump has stabilized the regional security situation, The Associated Press reported. Kim made the comment during a meeting in Pyongyang with South Korean President Moon Jae-in. 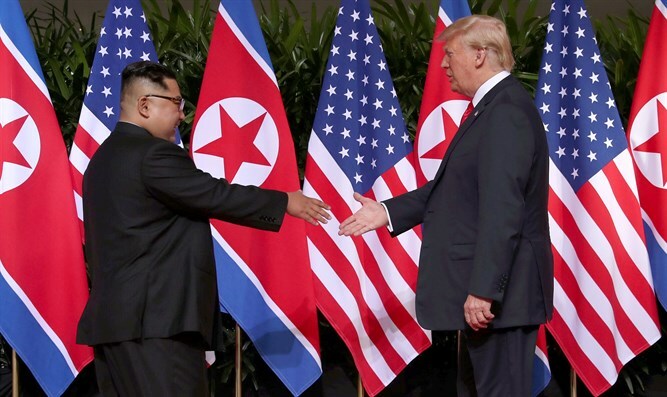 Trump and Kim met in Singapore in June and signed an agreement which includes a commitment to achieve total denuclearization of Korea, with promises to pursue “vigorous negotiations” to that end. Trump recently called off a planned trip to North Korea by Secretary of State Mike Pompeo but later insisted the United States is “doing well” in its diplomatic efforts with North Korea. Despite the summit, the US last week announced new sanctions against North Korea, taking aim at a Chinese company, its North Korean CEO and its Russia-based sister company. The sanctions are the latest sign the US is moving to increase pressure on Pyongyang to end its nuclear and ballistic missile programs.